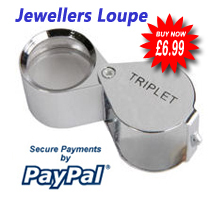 The Brinks Mat Robbery – The biggest Gold bullion robbery - ever! On the 26th November 1983, a South London gang of six broke into the Brinks Mat warehouse at Heathrow believing that there was £3 million on the premises. In fact, it was their lucky day because there was three tons of gold bullion (6,800 bars in all) in 76 cardboard boxes and 2 boxes of diamonds. The estimated value at the time was in excess of £26 million. It was an inside job. Security guard Antony Black, the brother in law of gang member Mickey McAvoy had passed on security details and let the gang into the warehouse. Once inside, staff members were doused in petrol and threatened with a match so soon gave the gang the combination numbers of the vault. The gang then vanished without trace. Antony Black passed McAvoy’s name to the police and was arrested for six years for aiding and abetting the robbery. Mickey McAvoy was subsequently arrested along with fellow gang member Brian Robinson and both sentenced to 25 years. However, in the interim short period between robbery and arrest, the gang had called in gold expert and businessman Kenneth Noye to dispose of the bullion. He melted the gold down, mixing it with copper coins to disguise its purity and started laundering the money. Around this time, sudden movements of large amounts going through a Bristol bank came to the notice of the treasury (and the police). Kenneth Noye fell under suspicion and was placed under police surveillance. When he killed a police officer, he found in his garden in 1985 the jury found him not guilty on the grounds of self - defence. However In 1986, Kenneth Noye was found guilty of conspiracy of handling the stolen Brinks Mat gold – he had always pleaded ignorance and was fined £700,000. He was sentenced to 14 years served only seven, and was released in 1994. So, what happened to it ? Once converted into money a lot of it went abroad to tax havens including the Cayman islands and Jersey and it seems that even the people who were caught were living off the proceeds, enjoying affluent lifestyles and buying property both home and on the Costa Del Sol in Spain. The money was laundered via a web of solicitors and financial experts, investing in offshore accounts in Jersey the Cayman Islands and similar. Some of the cash ended up in Swiss bank accounts. Some was invested in property in London's Docklands boom of the mid-1980s. A portion was even used to buy a former section of Cheltenham Ladies' College, later converted into flats and sold. Essentially the proceeds from the Brinks Mat haul vanished quickly. Nobody knows more about that extraordinary morning's events than Wensley Clarkson. Nobody is better placed to track the vicious, violent and unexpected waves that followed in its wake or bring to life its cast of larger-than-life characters. 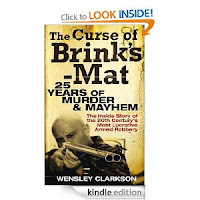 From small-time crime in south-east London, to ‘the heist of the century' and its bloody consequences, Wensley Clarkson's The Curse of Brink's-Mat is an epic tale of villainy, gold and revenge. Police say half the gold was smelted and sold back to legitimate dealers, including Johnson Matthey, the original owner and a lot of it is believed to have ended up as expensive jewellery. According to the treasury, it is highly possible that any gold bought in the UK after 1983 probably contains some of the Brinks Mat bullion. The Hoard – crime doesn’t pay? More than 10 million pounds worth of gold was buried and remains undiscovered. However it is estimated that at least 30 people were involved in the Brinks Mat robbery so it is likely that someone knows where it is or where it got to. The amazing thing about the Brinks Mat robbery is that despite the scale of the crime only two of the gang, along with Noye were ever convicted.